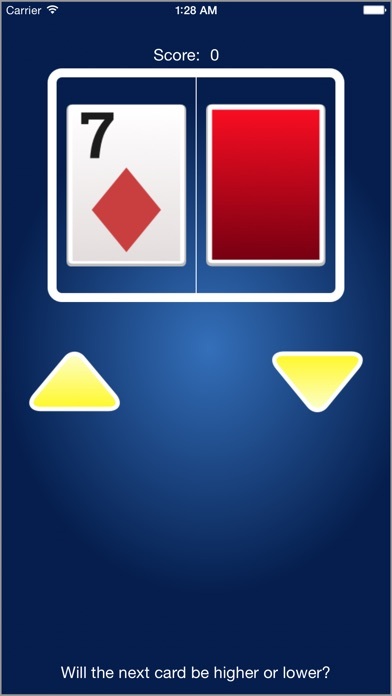 Discussion in 'iPhone and iPad Games' started by Rudy, May 30, 2015. 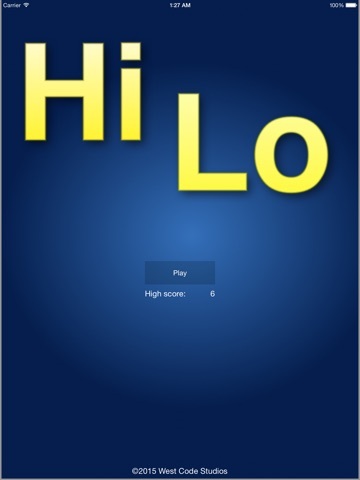 Play the classic game Hi Lo. Perfect for on the go gaming. 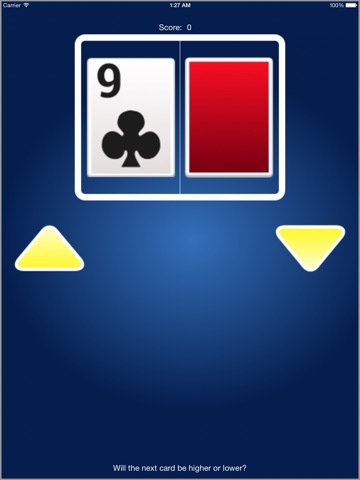 - Guess if the next card will be lower or higher. 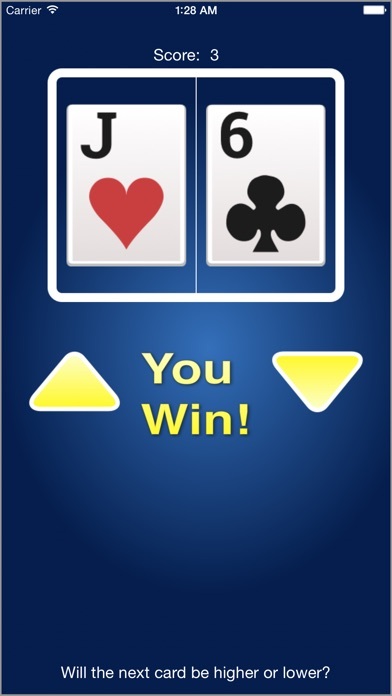 - Aces are high - Try to aim for the highest score! 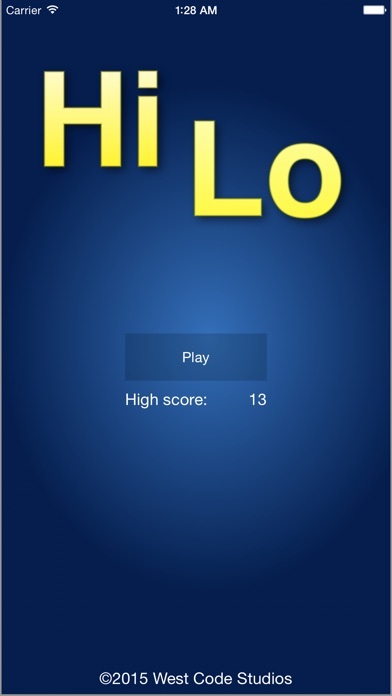 I made a simple Hi Lo game for the Apple Watch (also works on the iPhone and iPad). it finally got reviewed by Apple today. 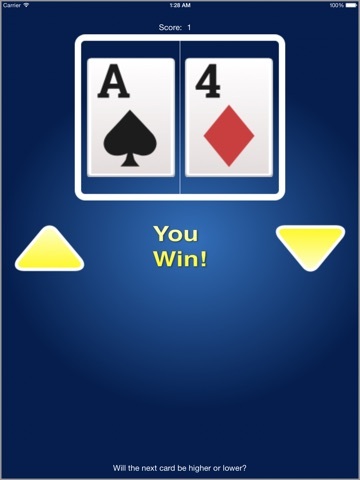 Any feedback would be welcome as I didn't get the chance to test it on a physical Apple Watch unfortunately.